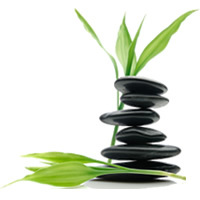 Our Weight Loss sessions are held in a relaxed and comfortable setting. The session will leave you feeling motivated and empowered. You will discover that you have a new approach to food and eating, and that you feel much more at peace with yourself. We find that changes can be implemented immediately and are easily sustained. Who is your current doctor and where do they practice? Is your doctor aware of this appointment? Has your doctor advised you to lose weight? May I contact your doctor or referring practitioner if required? How do you currently feel about your body and your weight? Why do you want to lose weight now? Is it portion sizes or specific foods that are a problem? Are there specific times or situations when you feel that you overeat? How would your life be different if you were slimmer & healthier? What are three positive things you will gain by losing weight? Does anyone else in your family have issues with weight?